Below you fill find all funeral homes and cemeteries in or near Creve Coeur. Creve Coeur is also known as: St. Louis County / Creve Coeur city. Zip codes in the city: 63141. Saint Louis County funeral flowers can be purchased from one of the local funeral shops we partner with. Creve Coeur has been featured in films like: The Apprentice Puppeteer (2012). Some of the notable people born here have been: Robert L. Behnken (test engineer and astronaut), Michael S. Engel (paleontologist), Scarborough Green (baseball player), Bobby Ray Akers Jr. (film producer and film director), and Elizabeth Janas (actor). 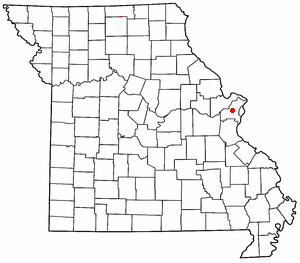 Creve Coeur /ˈkriːv ˈkʊər/ is a city located in west St. Louis County, Missouri, United States, in Greater St. Louis. The population was 17,833 at the 2010 census. Creve Coeur borders and shares a ZIP code (63141) with the neighboring city of Town and Country. It is home to the headquarters of Monsanto. It was noted on December 6th, 2018 that Randy J Helmers passed on in Creve Coeur, Missouri. Helmers was 68 years old and was born in Chester, IL. Send flowers to express your sorrow and honor Randy J's life. It was written on December 6th, 2018 that Daniel D Ruppert passed away in Creve Coeur, Missouri. Ruppert was 66 years old and was born in DuQuoin, IL. Send flowers to share your condolences and honor Daniel D's life. It was reported by The Maries County Gazette on November 7th, 2018 that Carl Eugene Rose perished in Creve Coeur, Missouri. Rose was 86 years old. Send flowers to express your sympathy and honor Carl Eugene's life. It was written on March 22nd, 2018 that Elizabeth A Marshall (Wood) perished in Creve Coeur, Missouri. Ms. Marshall was 80 years old and was born in Sparta, IL. Send flowers to share your condolences and honor Elizabeth A's life. It was noted on January 23rd, 2018 that Vernon Oliver "Bud" Manker perished in Creve Coeur, Missouri. Manker was 97 years old and was born in Estancia, NM. Send flowers to express your sorrow and honor Vernon Oliver "Bud"'s life. It was reported on November 30th, 2017 that Daniel C Flowers died in Creve Coeur, Missouri. Flowers was 59 years old. Send flowers to share your condolences and honor Daniel C's life. It was written by Bell Banner on June 28th, 2017 that Jack Ralph McKinney perished in Creve Coeur, Missouri. McKinney was 85 years old. Send flowers to share your condolences and honor Jack Ralph's life. It was reported on May 6th, 2017 that David E Neff perished in Creve Coeur, Missouri. Neff was 85 years old and was born in Germantown, IL. Send flowers to express your sympathy and honor David E's life. It was disclosed by Bell Banner on February 15th, 2017 that Eugene Nelson Schmidt died in Creve Coeur, Missouri. Schmidt was 70 years old. Send flowers to express your sorrow and honor Eugene Nelson's life. It was reported by Bell Banner on February 10th, 2016 that Mary James (Romesburg) passed on in Creve Coeur, Missouri. Ms. James was 57 years old. Send flowers to express your sorrow and honor Mary's life. Ortmann, Bob - Ortmann Stipanovich Funeral Hm, Creve Coeur, MO : Reviews and maps - Yahoo! Local, 314.514.1111. Get Ratings, Reviews, Photos and more on Yahoo! Local. Listing all funeral homes in Creve Coeur, Missouri so you can easily send flowers to any location (same day delivery) or find any funeral service. Find BBB Accredited Funeral Services near Creve Coeur, IL. Your guide to trusted Creve Coeur, IL Funeral Services, recommended and BBB Accredited businesses. Find BBB Accredited Funeral Directors near Creve Coeur, IL. Your guide to trusted Creve Coeur, IL Funeral Directors, recommended and BBB Accredited businesses. Listing all funeral homes in Creve Coeur, Illinois so you can easily send flowers to any location (same day delivery) or find any funeral service. We work with local florists and flower shops to offer same day delivery. You will find budget sympathy flowers in Creve Coeur here. Our funeral flowers are cheap in price but not in value.